February 11th, 2019 - Does My Bomb Look Big In This? 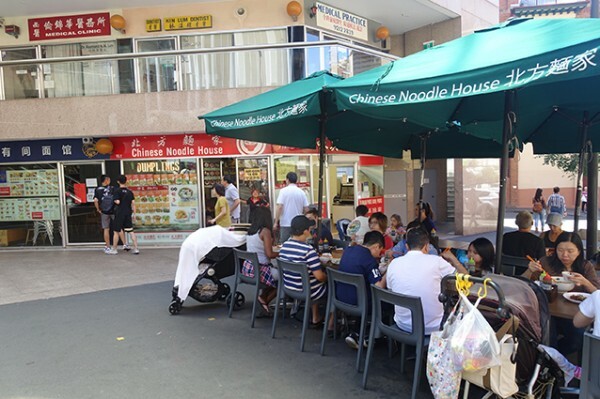 The outdoor tables at Chinese Noodle House turn over like clockwork. 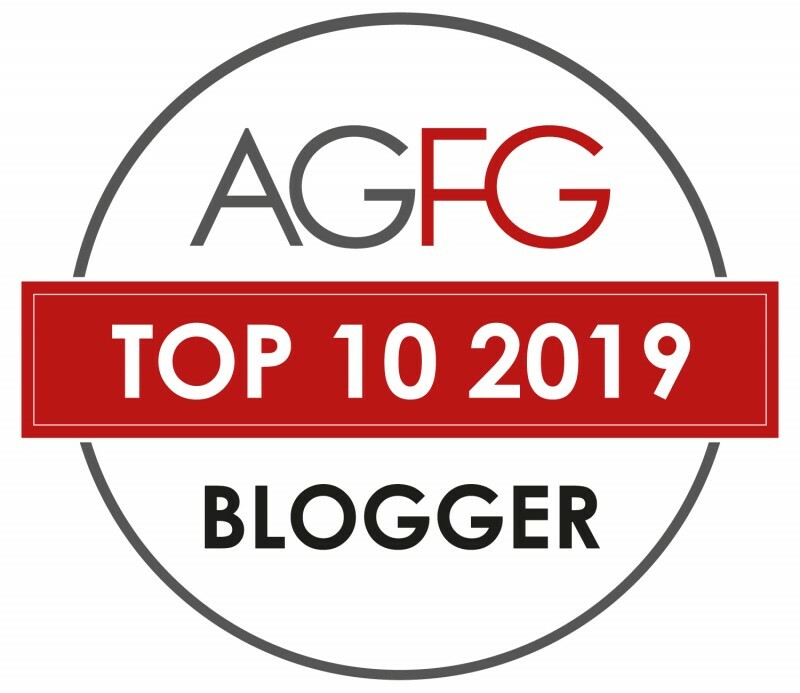 As soon as one party pops their last dumpling into a waiting mouth, the beady-eyed floor staff hovering outside are presenting the bill, wiping the table and installing the next guests. Inside, the same cheek-to-jowl seating fits thirty-two diners, though expect to be rather intimate with your neighbouring guests. Floor staff do things ‘family style’, and are not above passing you chopsticks to hand to the folk sitting at the next table. The pokey little room, painted a once-cheerful shade of lemon, is decorated with plastic grapevines and vintage deer rugs. 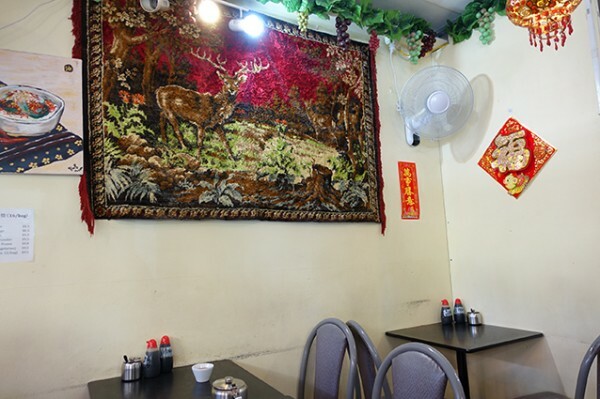 On one wall is an artist’s rendition of their Knife-Sliced Noodle with Fragrant Spicy Sauce ($11.80) that inclines me to order this simple dish. 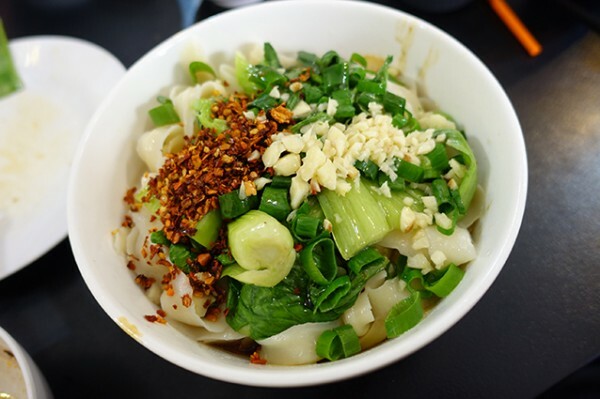 There’s not much to it – lacy-edged hand-cut noodles dressed with oil, a little soy, plentiful, fragrant fresh garlic, abundant dried chilli flakes, crisp shallots and baby bok choy – but it’s a great way to experience their slippery, almost translucent hand-made noodles. You can also eat your handmade noodles flash fried, Xinjian style ($12.80), with beef, cabbage, onion, celery, carrot and baby bok choy. 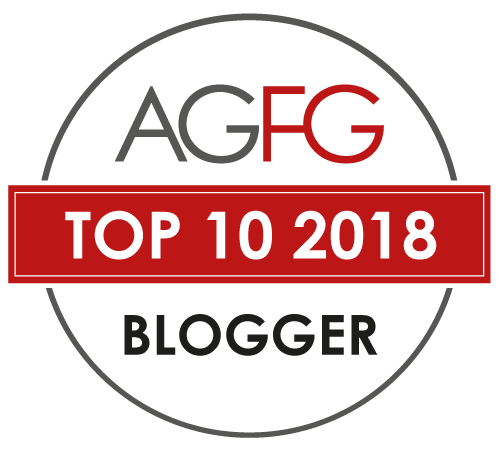 The beef is twice-cooked, thinly cut topside – tasty with lovely stretch. 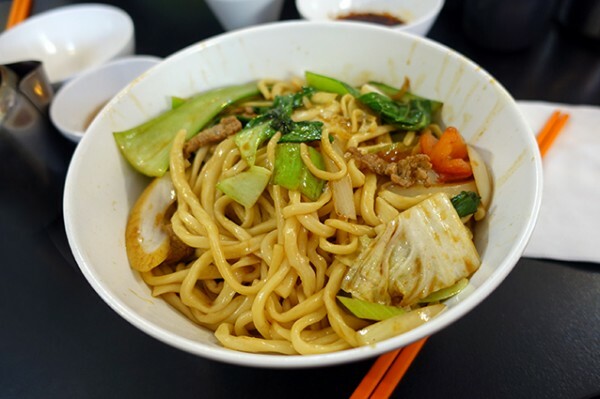 Just like the previous dish, this bowl of noodles is tasty, the portion size is generous, and it arrives very quickly. 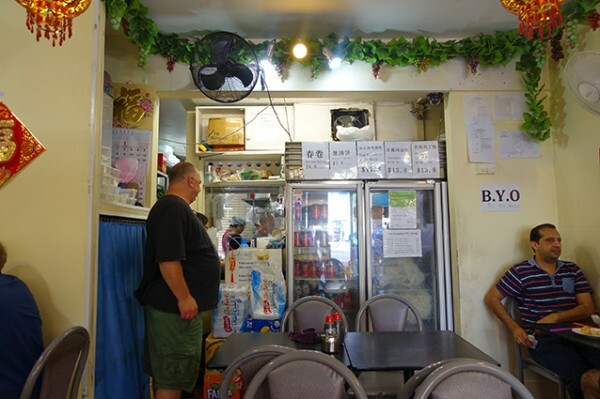 From the interior dining room, you can watch your noodles being made through a window into the kitchen. It’s a wonder anyone can move inside the cramped space. 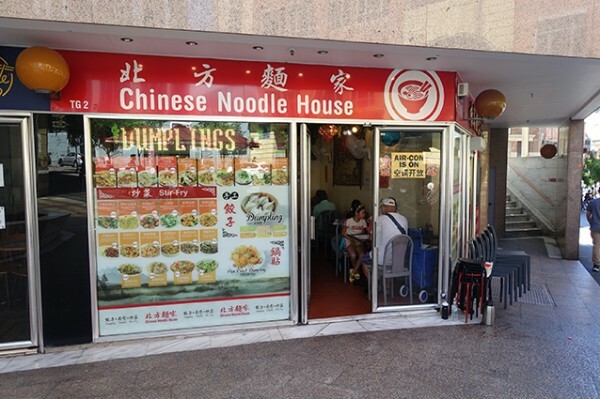 The other big-ticket item at this popular Northern Chinese restaurant is dumplings, spelled out in lights on the chaotic menu board shopfront. 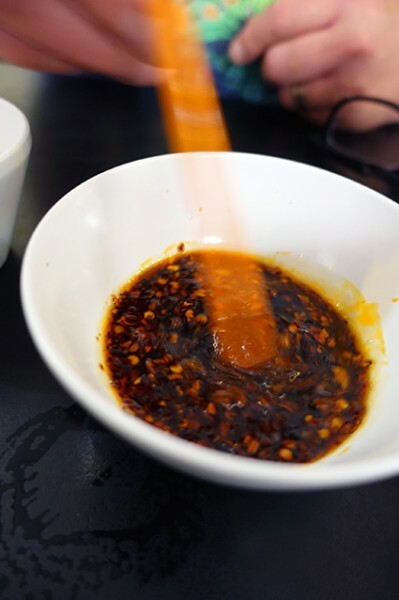 Mix up a dipping sauce to reflect your own proclivities using the on-table chilli oil, soy sauce and black vinegar. 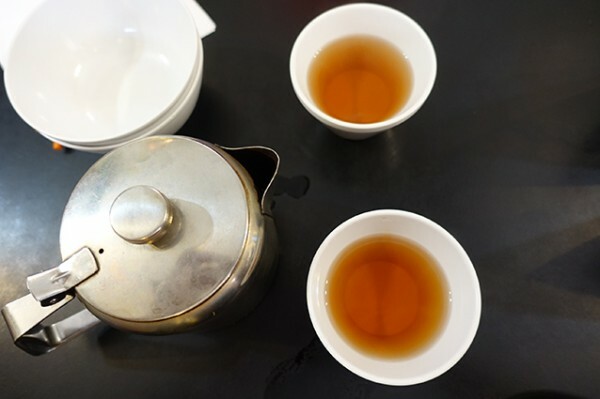 Sip scalding hot tea provided free of charge while you wait for your dumpling selection to be served up as boiled, steamed or pan-fried. 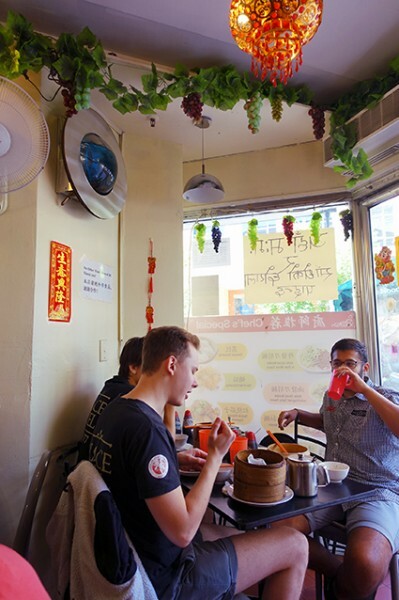 We opt for Pork Chives and Prawn Dumplings ($8.80) in a half serve, and are rewarded with six, freshly-made dumplings packed with twice as much filling as other dumpling places. 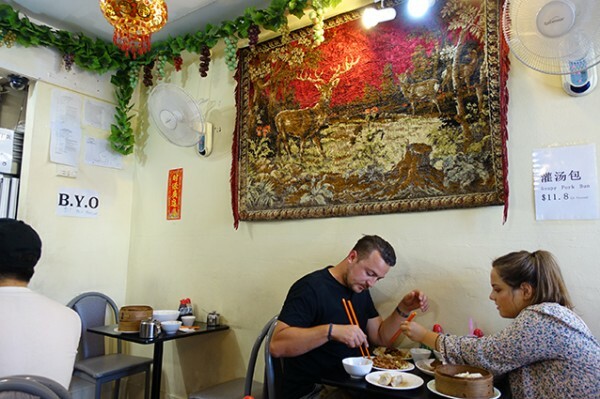 The minced pork is great quality – gristle and fat-free - the chives are fragrant, and the dumpling skins are not too thick, complemented by golden, crisp bottoms. 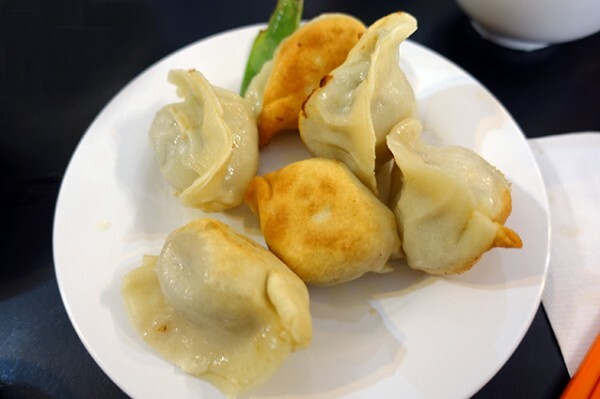 And, as soon as I pop the last one into my mouth, we're firmly but politely ushered out the door to make way for the next dumpling fanatic.